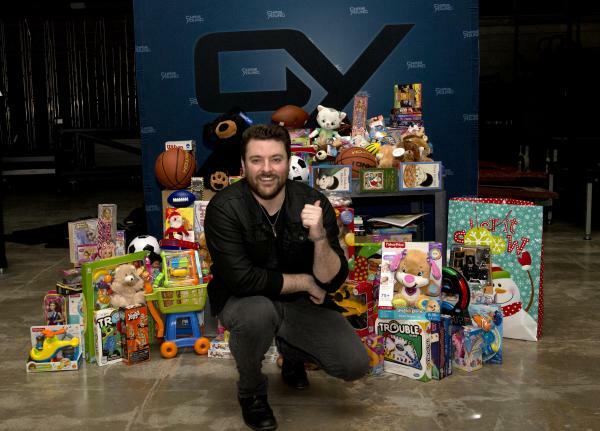 Chris Young has been making the holidays shine for children by partnering with Toys for Tots to collect toys for deserving children in nine states during his “I’m Comin’ Over Tour” this fall. Young, who is a member of the CMA Board of Directors, announced Saturday in Knoxville during the final stop of the tour that CMA will be supporting the effort by collecting unwrapped toys from the music community in Nashville that will be delivered to children in Gatlinburg, Tenn. who have been devastated by recent wildfires. "Tennessee is my home and the families of Gatlinburg have lost so much - I'm glad to have the opportunity to help bring smiles to the children here at Christmastime," said Young. “We are asking our industry colleagues to give so that children who have nothing left have something to hope for this holiday season,” said Sarah Trahern, Chief Executive Officer of CMA. Members of the trade association are encouraged to bring unwrapped toys to the annual member party on Tuesday, Dec. 13 at CMA’s new corporate offices, 35 Music Square E., Suite 201, Nashville. CMA will be accepting donations through Friday, Dec. 16 during regular operating hours (9:00 AM-5:00 PM/CT). On Tour Logistics a Division of Averitt Express has agreed to transport the toys from Nashville to Gatlinburg for free on Monday, Dec. 19. CMA and Kenny Chesney, who is from East Tennessee, recently announced a joint $500,000 fund ($250,000 each) to aid the region in its ongoing recovery efforts.